The Richmond Custom Wood Cornice, with multiple and varied crown molding designs, will bring stylish elegance to any door or window. Provide the opening dimensions to accommodate the doors and/or window treatments, blinds, or other hardware to be covered by the valance. Installation hardware and instructions are included. 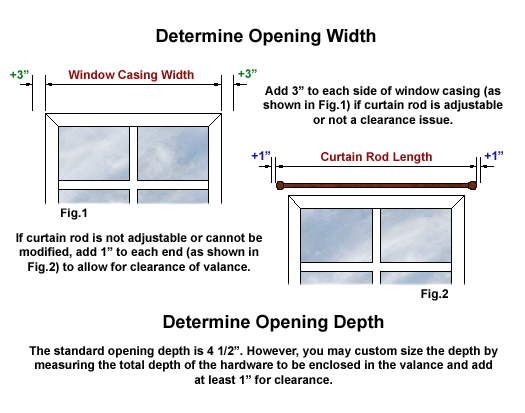 See diagram below for help determining opening sizes. Overall Width at Top = Opening Width plus 8 1/2"
Depth at Top = Opening Depth plus 4 1/4"
Click the button below to add the Richmond Custom Wood Cornice to your wish list.